2-pack Athletic Ashirts. Player's quality and value. Full proportioned tailoring knit with the finest, comfortable, soft 100% combed cotton. 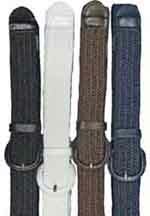 Proudly made in the U.S.A.
View French Craft 1 1/4" wide stretch elastic braided belt with leather tab. Goes great with jeans or casual pants. View This is a non-binding, extra wide mid-calf sock for men with wider feet who are tired of squeezing into tight, uncomfortable socks. These comfort fit, extra wide athletic socks are great for wide feet, swollen legs and people with medical conditions such as edema, diabetes and circulatory problems. Stretches very wide through the whole sock, will not cut off circulation and is one of our best selling socks! 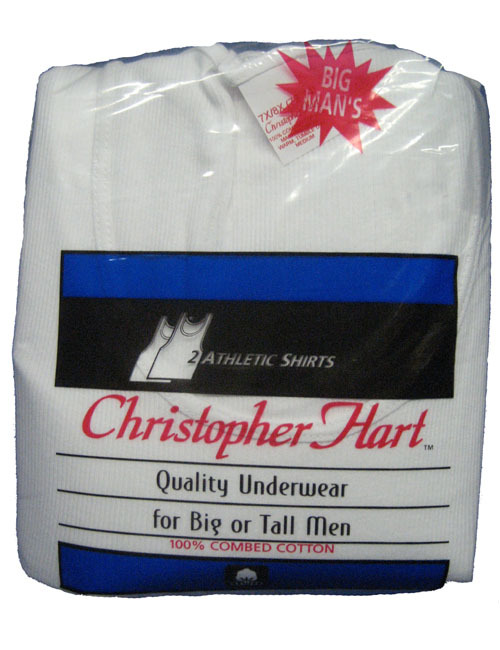 Thicker athletic/gym sock weight material. View You can dress up and be comfortable too! This is a non-binding, extra wide, comfort fit, mid-calf sock for men and women with wider feet who are tired of squeezing into tight dress socks. These extra wide dress socks are great for wide feet, swollen legs and people with medical conditions such as edema, diabetes and circulatory problems. Stretches very wide through the whole sock, will not cut off circulation. Thinner dress sock weight. 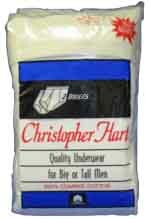 View The Christopher Hart Big Mens Briefs 2-Pack is from the Christopher Hart underwear line. These brief are crafted from premium grade, finest quality 100% cotton rib and feature full cut tailoring to insure quality fit and great wearing satisfaction. The Big Mens Briefs 2-Pack mens briefs are ideal for everyday wear.